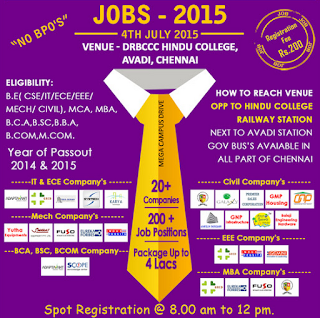 Job Fair for IT and Core Engineering 2014 & 2015 Passout Candidates at Chennai for the year 2015. 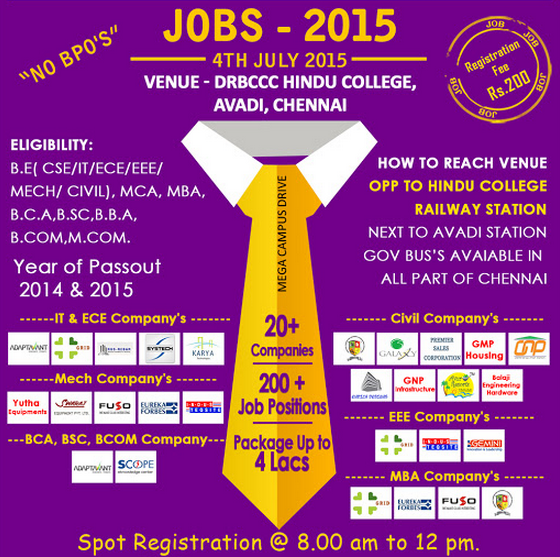 Eligible Candidates can attend the interview on 04th July 2015. How to Apply: Interested and eligible candidate can register on spot and attend the interview at mentioned below Venue on 04.07.2015.